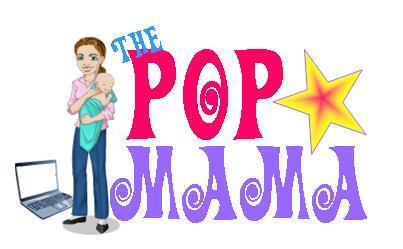 Pop Mama: What does 15 minutes of fame cost? Right now I am holed up in our sunroom/office trying to insure that the house is quiet so that Cameron can get some kind of nap today. At six months old he seems to think that he does not need to nap (more than 20 minutes at a time) during the day...it is driving me insane. I think the ladies at his daycare are also going a little insane with him at the moment. The trade off is that he is sleeping in 11-12 hour stretches at night...which is an amazing blessing. I recently read somewhere that Kate Gosselin gets $250,000 per episode for her Kate Plus Eight disaster of a reality show. Again, no one cares that you can travel with 8 children. Does the $250,000 compensate her and her children for the damages that this public life has to be causing? People.com just ran a story on how Colin and Alexis Gosselin were expelled from their private school in Pennsylvania. No real reason was given, but reports of bullying and violence were referenced in the story. Apparently these two children are now being home schooled -- add one more care giving layer to the Gosselin household, not to mention one more line item on the budget. No wonder they need the $250k per episode. I feel sorry for the Gosselin kids. Sure, they have had a wealth of experiences, but their parents are not together -- their father is a train wreck, their mother clinging to fame to pay the bills, and their entire family life is mocked by the media time and again. These children are dealing with the divorce of their parents (which takes years to recover from - believe me) and doing it in the spot light no less. I suppose I am part of that problem. Just reading the school expulsion story caused me to think about this family again and if it was really worth it. 2. The Duggars haven't really changed because of the show and it's profits...sure they have a bigger house, but they were in the process of building that already. And, sure they have different travel opportunities and speaking engagements, but I just don't see any dramatic changes in the family dynamic, appearance or values of the Duggars. 3. The Duggars (as far as I know) are not going to appear on Dancing with the Stars, don't employ multiple nannies (they have older children for that), bodyguards or home school teachers (again, they have older children for that). I guess what I am trying to say is that the Duggars seem to have stayed true to themselves throughout the reality show process. That is where the real stability of their family shines through. OMG there is a lawn guy weed wacking right outside our house...I am praying that Cam doesn't wake up too soon!